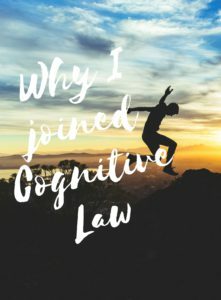 Not long after I joined Cognitive Law our marketing manager, Amy Pulling, asked me to consider writing an article explaining why I joined. At the point I thought I’d give it a few more weeks before allowing myself the time to write such an article. When Amy gave me a gentle nudge again last week I realised that I’ve now been a consultant solicitor for nearly 3 months and that the time has flown by – it was time for me to sit down and try to explain why after twenty years in the legal profession I abandoned the traditional law firm model and the safety of a salary. I think that like many other solicitors of a similar post qualification experience to myself (to my horror I realised I’m now twenty years qualified!) there comes a point where you think actually if it were up to me I would do it this way rather than that way, whether that is at a department meeting or a staff conference. There is also the thought that law firms are all cut from the same cloth so that a change of firm sometimes means all that changes is where you are working from and new set of colleagues. In the past the thought of setting up my own firm had entered my head but there was always something unappealing about going it alone for me. However, in recent times a third option emerged; the consultancy role. 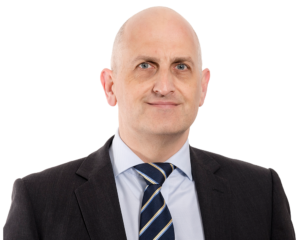 For the last sixteen years I have practised as an insolvency solicitor, I have achieved recognition in Chambers Legal Directory and set up two insolvency departments at regional firms that have made it into Legal 500, the consultancy model seemed ideal for me. Having sat down with a list of ‘pros and cons’ the only ‘con’ that I could not alter was the loss of a salary. The pros were obvious, control over my work, a genuine work-life balance, flexibility and importantly being able to implement my own business plan without it having to fit into a grander design that somebody else was trying to develop. To me having a work-life balance was not about part-time working or having the ability to work from home. It is about starting at 10am if you’ve worked late the night before, recognising that being a solicitor is seldom about working a 9 to 5, acknowledging a bit of give and take in the hours worked. Like most solicitors I know I would take work home in the evening or at weekends but would always think twice before, and more often than not decide against asking, to leave a little bit early or start a little later if there was a family issue or medical appointment etc. Working from home can also cause a raised eyebrow with colleagues or a knowing look. However, with being a consultant solicitor you have true flexible working. The best example I can give is that recently my 12-year-old daughter wanted to go to the Amex Stadium to get a book signed by Anthony Knockaert, it meant finishing work at 5.00pm. I am not sure I would have asked to leave early to take her had I been an employed solicitor, however I did not have to ask anyone. We went got the book signed and she was over the moon. To me that was having a work-life balance! I get to set my own targets, choose the type of work I do and the amount that the client will be charged. I get to decide what business development I do, what I think is effective. If I go to a networking event or attend a meeting with a prospect that does not produce a client it’s my decision. I am also getting more enjoyment and job satisfaction and have to say running my own business is very rewarding. So why Cognitive Law? When I met Lucy and Stuart it was obvious that they cared about the brand, it is well known in the local area and the structure and back office support is excellent. There is a strong brand which gives confidence to clients and consultants the feeling of being part of a team.